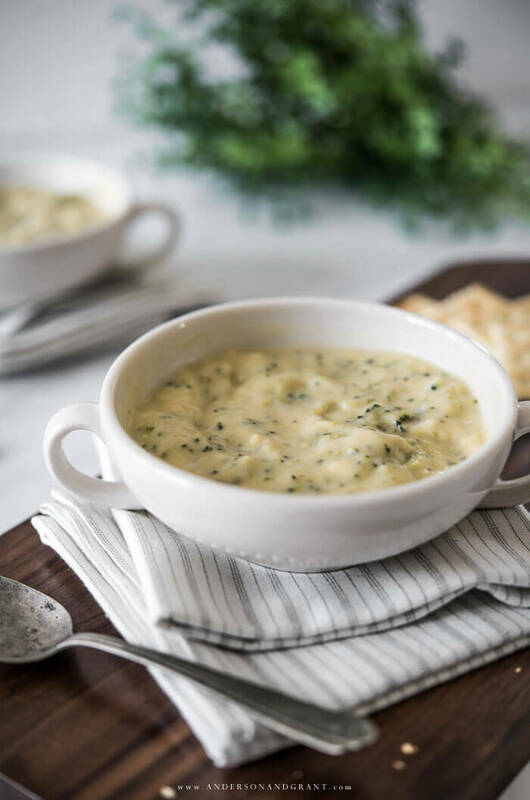 This delicious Broccoli Cheddar Soup is one of my favorite homemade soups to prepare. 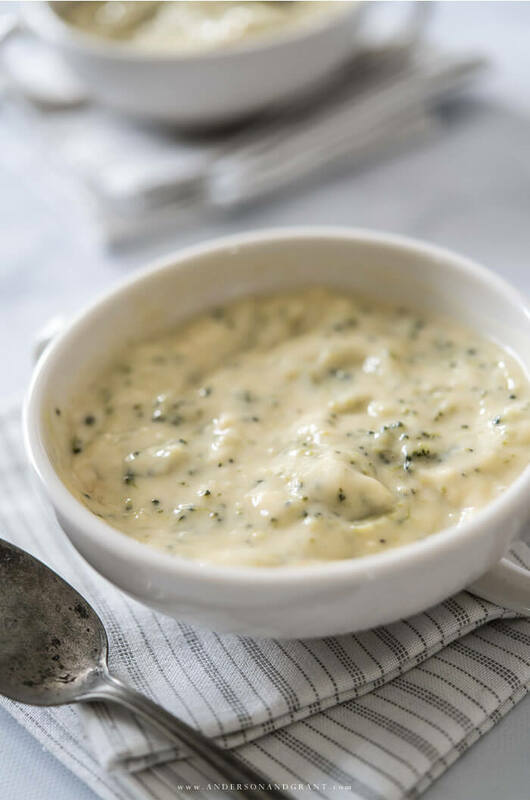 It is creamy, packed with flavor, and so easy to make for lunch or dinner. I'm going to take a moment and be completely honest with you. I hate broccoli. I don't like the smell of it simmering on the stove. The taste of it either raw or cooked is not something I enjoy. Even covering it in ranch dressing doesn't help me to get it down. 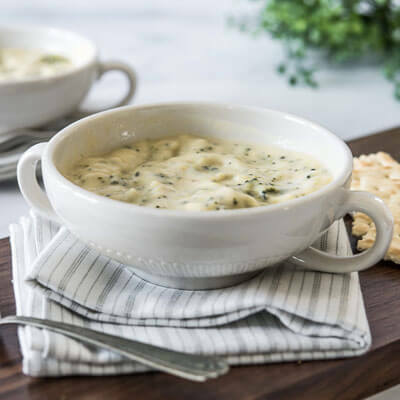 The one and only way that I will eat the green veggie is in my mom's Broccoli Cheddar Soup. 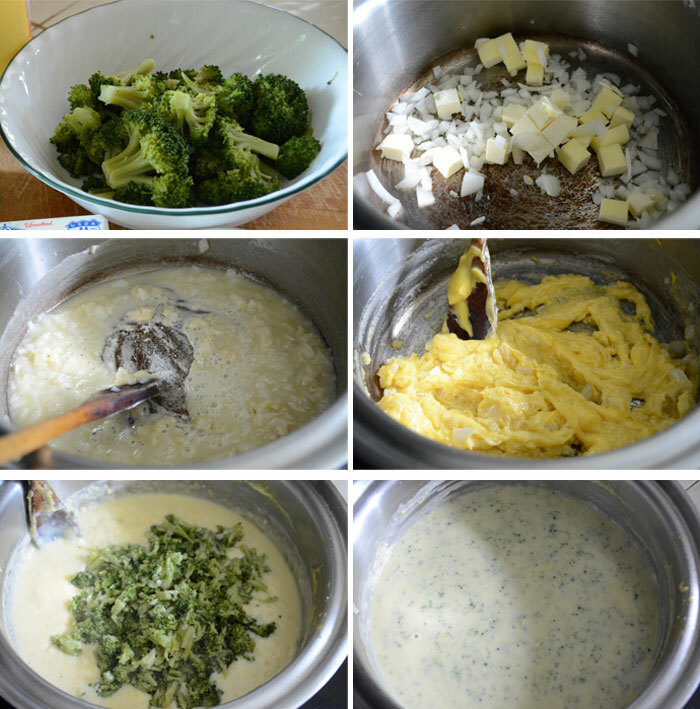 For as long as I can remember, she would prepare this soup, and I would actually enjoy eating broccoli. So for you parents who try and try to get your kids to eat it, this soup could be the answer.. 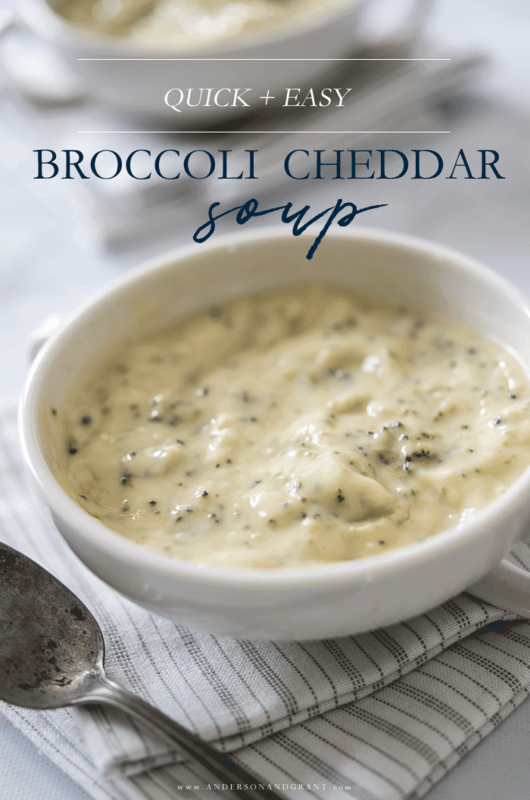 When you see broccoli on sale at the store or find it fresh at the farmer's market, you can blanch it, then put the vegetable into the freezer for when you want to prepare the soup. I love incorporating fresh produce into meals, and freezing allows you to put recipes together when you're in the mood for making something out of it, rather than just when you buy it. Break the broccoli florets off of the stem and into pieces. Cover with water and bring to a boil. Then boil for about 15 minutes until the broccoli is tender. Drain and let it cool. When it has had time to cool, tear the florets into tiny pieces. Meanwhile, dice the onion into small pieces. Put them in a pan with the butter and cook over medium heat until the onions become transparent and tender. You may notice that they give off a nice sweet smell as they cook. Add the flour gradually to the pan and mix into the onions and butter, stirring quickly so that nothing sticks to the pan. Add the can of cheese to the pan and stir until the mixture becomes smooth. It will be very thick. Pour in the milk and season with salt and pepper to your liking. Cook until the soup comes to a boil. Then stir in the cooked broccoli. 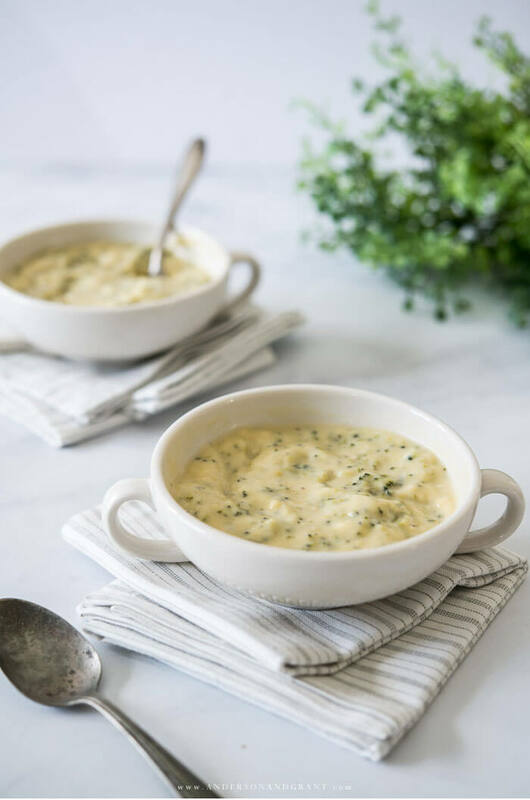 Finally, pour in the chicken broth and mix well to incorporate it into the creamy soup. Turn the heat to low and simmer uncovered for about 15 minutes.